As a Business and Enterprise School, we seek to embrace the challenge and opportunities presented by the evolving global, national and local economies, for the benefit of our students and the wider community. 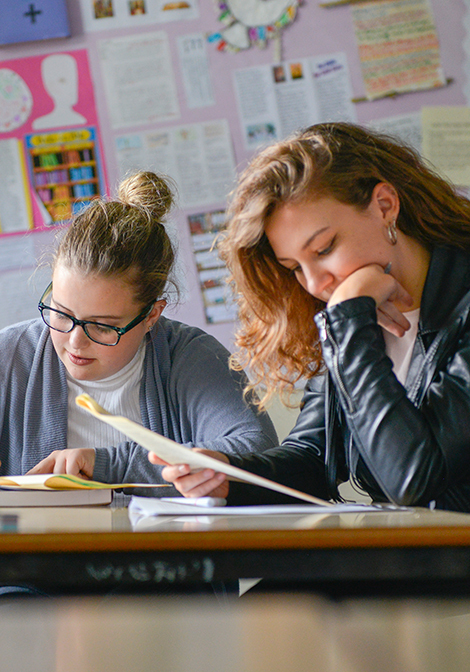 A key focus is improving the quality of teaching and learning across all areas of the curriculum, and in particular in Business Studies, ICT, Maths and MFL. St Nicholas Catholic High School will be permeated by a growing appreciation of the increasingly global nature of society, and business in particular. Students will explore issues of economic interdependence in partnership with our community partners and sponsors. The school will contribute to improving the quality of life and enhancing the range of economic opportunity available to those who have retired, the young disabled and the young unemployed locally. This involvement of minority and disadvantaged groups will facilitate their inclusion in life long learning and wealth creating opportunities. Students will continue to extend their understanding of the nature of their wider social responsibilities. They will encounter the moral and ethical dimensions inherent in economic decision making processes and have the opportunity to exercise their judgment both in relation to ‘real’ world case studies and activities designed for the purpose. Through the influence of our own School Eco Group and other organisations, matters of sustainability, creative regeneration and healthy living will be addressed across the school community.